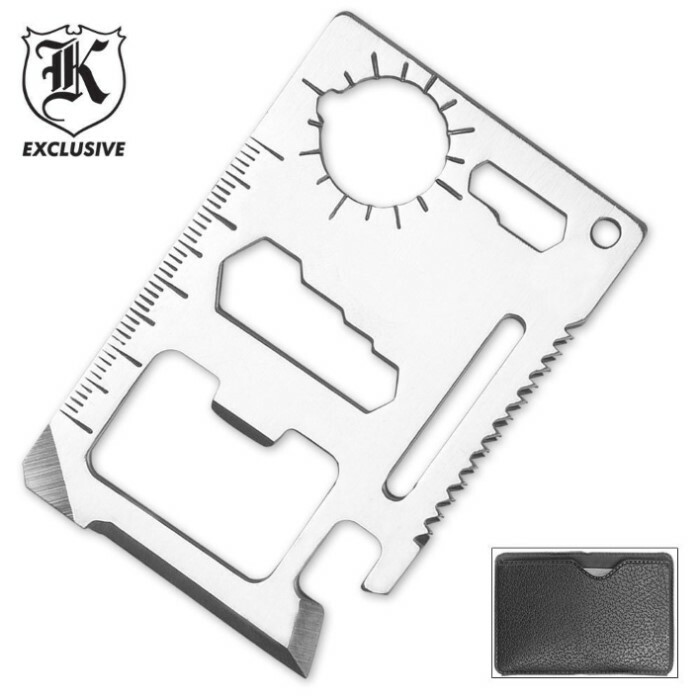 11 Function Credit Card Survival Tool | BUDK.com - Knives & Swords At The Lowest Prices! Having the right tool when you need it is the key to facing survival situations! Our 11 Function Credit Card Survival Tool will assure that you are prepared for any emergency. 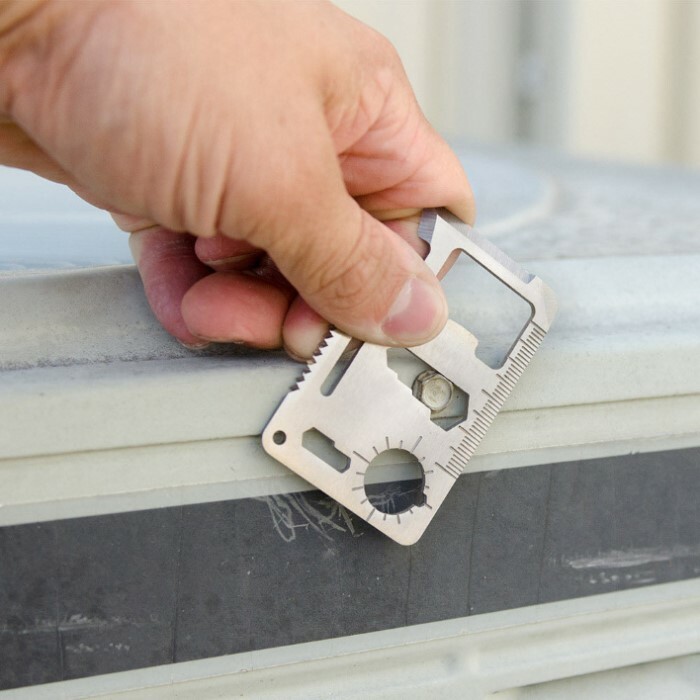 It features a can opener, knife edge, screwdriver, ruler, bottle opener, four-position wrench, butterfly screw wrench, saw blade, direction auxiliary wrench, two-position wrench and a convenient keychain hole. A simulated leather carrying case that slides easily into a wallet is included. 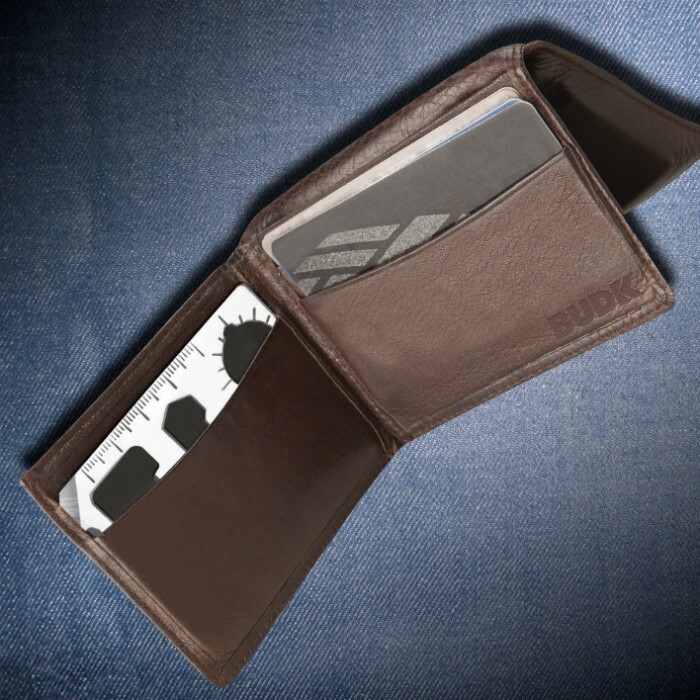 The 11 Function Credit Card Survival Tool wallet card is one thing you shouldn't leave home without!